The oil industry is seeing a global marketplace out there where investing in clean fuel and energy is becoming more economically viable; it’s also being pushed by new government and corporate policies being enacted as the Paris climate change agreement takes hold – even if the Trump administration pulls out of the agreement. Natural gas vehicle acquisitions are expected to grow, and there’s already thousands of those vehicles in fleets across the country. Using RNG is the same as using biodiesel or renewable diesel – the engine technology, and much of the fueling infrastructure – is already in place, and greenhouse gas emissions are reduced significantly overnight by switching over. 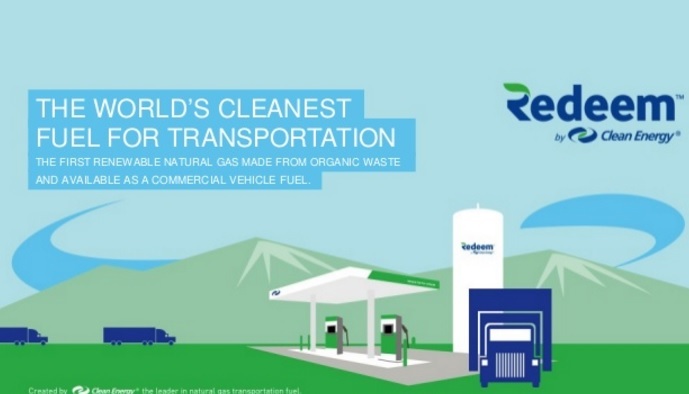 RNG has about 70% lower greenhouse gas emissions than equivalent gasoline or diesel fueled vehicles; and renewable diesel offers similar benefits in emissions reductions. Fossil fuel consumption, including gasoline and diesel, is expected to decline worldwide in the near future under stringent government regulations and increasing sales of vehicles consuming less gasoline and diesel. More pressure has been coming from increasing concern over air quality, health hazards, and climate change; in that context, stakeholders are pushing for change at the legislative, regulatory, corporate, interest group, and consumer levels. This is true of both the developed economies in Europe, North America, and Asia; and of developing economies such as China, India, and Brazil. Renewable energy used to generate electricity is seeing more government support in developing nations; as is vehicle electrification and alternative fuels as government regulations and subsidies flourish. 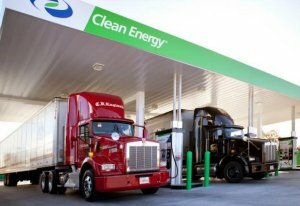 Here’s a look at the landscape of alternative, renewable fuels and energy for this year and beyond……..
BP and Clean Energy agreement: BP is buying Clean Energy’s existing biomethane (RNG) production facilities, its share of two new facilities, and its existing third party supply contracts for RNG. The oil company will continue to subcontract the operations of these facilities to Clean Energy, and the natural gas fueling company has an extensive network of natural gas fueling stations around the country for purchasing RNG. Clean Energy will have a long-term supply contract with BP, and will buy RNG from the oil company and collect royalties on the Redeem fuel sold at its stations. Redeem comes from organic waste; Clean Energy sold 60 million gasoline gallon equivalents of the fuel in 2016. Customers buying Redeem have included UPS, Republic Services, Ryder, Kroger, and the City of Santa Monica’s transit agency. Using RNG and renewable diesel gives fleets and transport companies access to California’s low carbon fuel standards and cap-and-trade funding programs. Other governments, including Canada, are adopting the standard calling on fleets to reduce carbon emissions by 10%, no matter what the fuel may be. Oil companies investing in alternative fuels and energy: Seven oil and gas companies – BP, Shell, Eni, Repsol, Saudi Aramco, Statoil and Total – are creating an investment fund to develop technologies to promote renewable energy. The industries face mounting pressure to take an active role in the fight against climate change; that joint announcement was also tied into more formal guidelines being issued on the 2015 Paris Agreement to phase out man-made greenhouse gases in the second half of the century. BP had invested heavily in biofuels and other alternative fuels years ago but then had backed off. That investment has been picking up again lately with the Clean Energy Fuels deal and other sustainable energy including biofuels and wind energy. Finland-based oil refining company Neste Corp. is now the world’s leading supplier of renewable diesel and has been investing in jet biofuel. It’s been producing over two million tons of renewable diesel annually. Shell CFO Simon Henry said in a November interview that demand for oil is expected to peak in about five years. Hydrogen has been an alternative energy of choice for Shell with investments made in six hydrogen stations that are open for fueling – four in Germany and two in the Los Angeles area, and a seventh near London’s Heathrow Airport opening soon; and the new agreement with Toyota to jointly construct seven hydrogen stations in California. Shell is also part of a global hydrogen council that formed last month that will be investing about $10.7 billion in hydrogen products within five years. Last year, Shell also did what other companies such as Total, Statoil, and ExxonMobil are doing through investments in wind farms, electric battery storage systems, and carbon capture and storage. Oil consumption will be declining: A new study by Edinburgh-based consultancy WoodMackenzie is in agreement with comments made by the Shell executive (and other oil company leaders) that what we used to call “peak oil” is showing clear signs of coming up. WoodMackenzie analysts say that the rising number of hybrid and electric vehicles being sold around the world, and greater engine efficiency, along with higher fuel standards and emissions reduction targets in the U.S., Europe, and Asia, will cause an historic shift in consumption patterns. Oil consumption reached a record high last year from oil prices plunging in 2014; the study forecasts demand for oil will reach its peak in the U.S. next year and by 2021 globally. Vitol, the world’s top oil trader, thinks it will take a few years longer with demand for gasoline and diesel reaching their peak in 2027-2028; but it will happen. Major oil companies and processors face an historic period of change as several countries, along with the Paris agreement, support getting rid of fossil fuels entirely in the next few decades. Renewable energy being taken seriously as its own industry: There was another $287 billion in clean energy investments made in 2016, according to Bloomberg New Energy Finance – a sign that the clean energy economy has global reach. Natural Resources Defense Council reported that India had installed 11 gigawatts of solar and 29 gigawatts of wind capacity during 2016; that helped move things along toward the country’s goal of having 100 gigawatts of solar and 75 gigawatts of wind by 2022. China became the world’s leader in solar power capacity last year, surpassing Germany; that came through adding more than 34 gigawatts of solar capacity last year, nearly 1.5 times the amount the U.S. has installed in its entire history. China also installed more than 23 gigawatts of wind power in 2016, almost three times as much as the U.S. added last year. Latin America has also been a bright spot in renewable energy with three out of the top five developing countries for clean energy coming from this region: Chile, Brazil, and Uruguay. In the U.S., more than half of about 24,000 megawatts of electricity generation capacity added to the grid in 2016 came from renewable resources. The U.S. Energy Information Administration also reported that more than half of electricity generation capacity added to the U.S. grid last year came from renewable energy. Last year, National Renewable Energy Laboratory issued a report forecasting that renewable electricity generation from technologies that are commercially available today, in combination with a more flexible electric system, could supply 80% of total U.S. electricity generation in 2050 while meeting electricity demand in every region of the country.